Best friends Solo and Zama have just turned one. They are pictured here at one month of age when they first met. All photos supplied by the National Zoo & Aquarium. 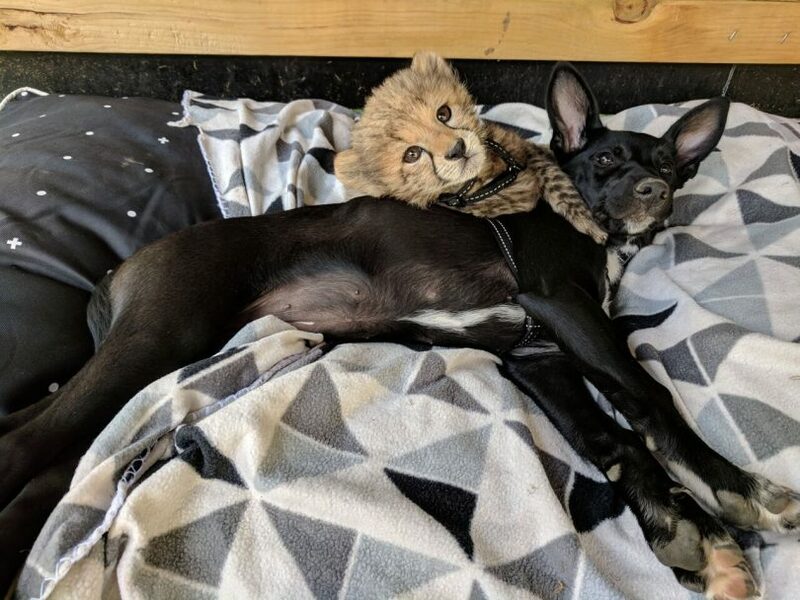 The story of a cheetah being brought up by humans who has a dog for a best friend has turned a new page with the celebrity pair celebrating their first birthday. 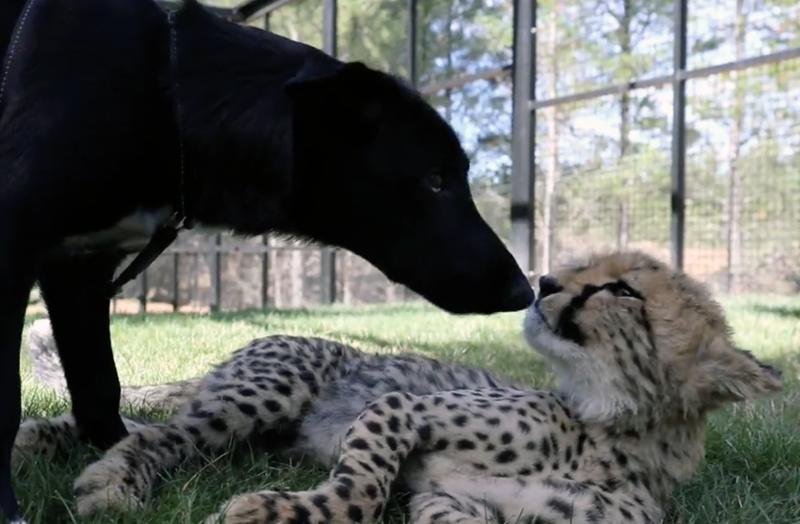 Solo the cheetah and Zama the cross Border Collie/Belgian Malinois met at the National Zoo & Aquarium when they were just one month old. They are being brought up together and are inseparable. 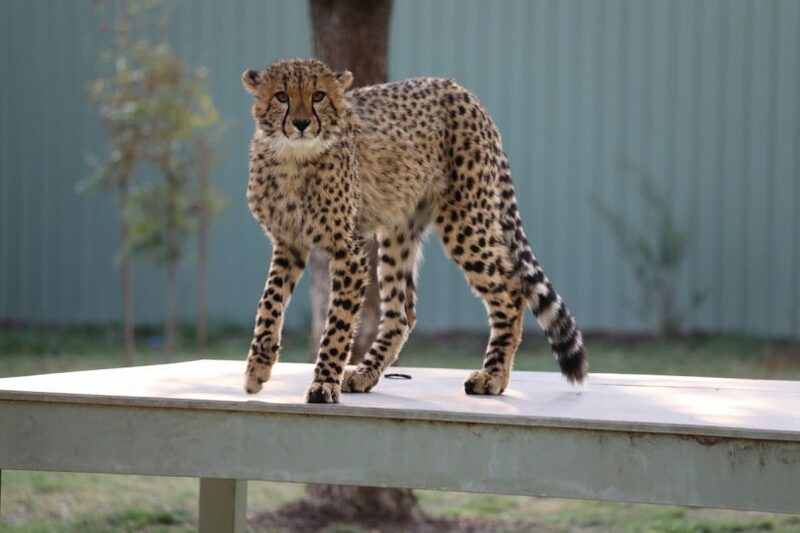 Zama is Solo’s stand-in sibling as the cheetah was a rare single-birth cub without any siblings of his own. Normally cheetah litters range from three to five cubs and, sadly for Solo, mothers of single cubs generally find it difficult to produce milk for just one cub. Two specialist keepers, Kyle Macdonald and Aline IJsselmuiden, came to the rescue and have been lovingly hand-raising Solo instead. But Solo also needed an animal companion and at the age of one month, Zama was given the special role. 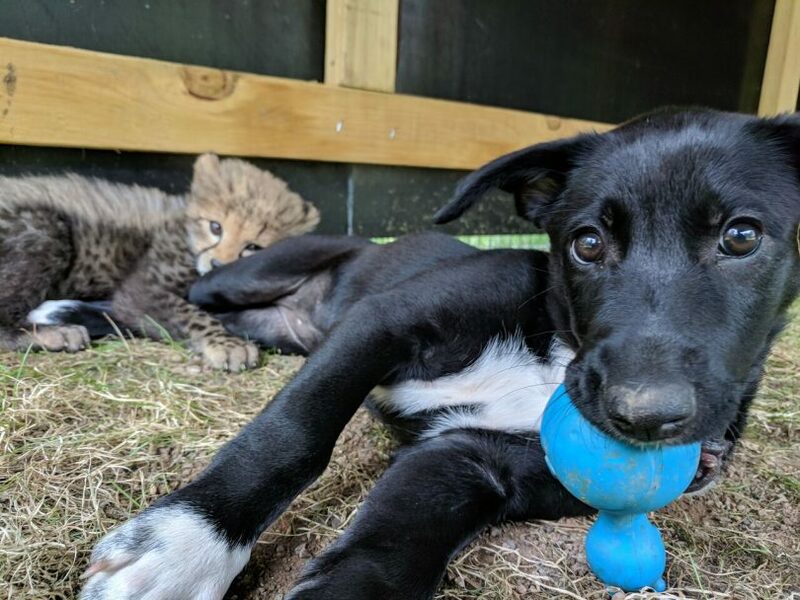 Not every pup can keep up with a wildcat, but Zama was specially selected because her collie genes give her the energy and determination to try to keep up with her friend while her Malinois genes add to her ability to be an intelligent and loyal companion. There can be little doubt that the two friends have thrived in each other’s company. 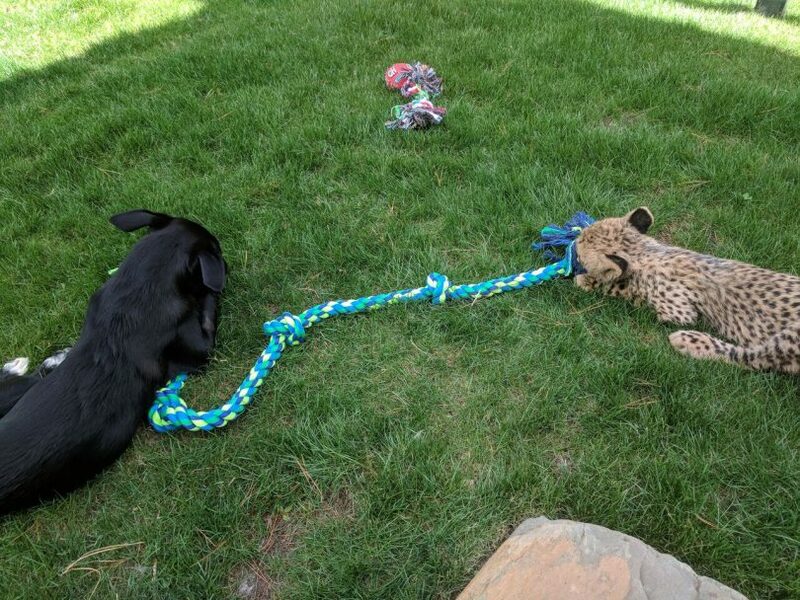 Both love to play and have forged a strong friendship, as shown in the video below. 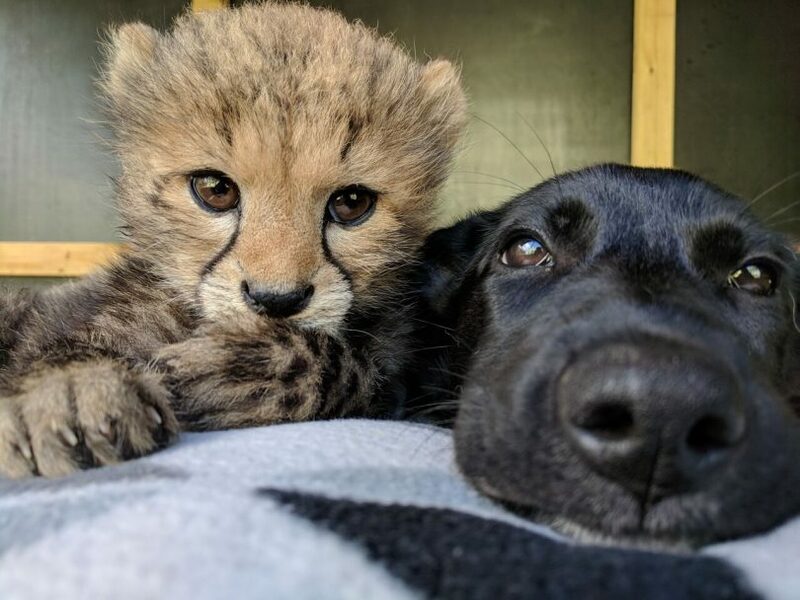 Solo the cheetah and Zama the cross Border Collie/Belgian Malinois met at the National Zoo & Aquarium Canberra when they were just one month old. They are being brought up together and are inseparable. 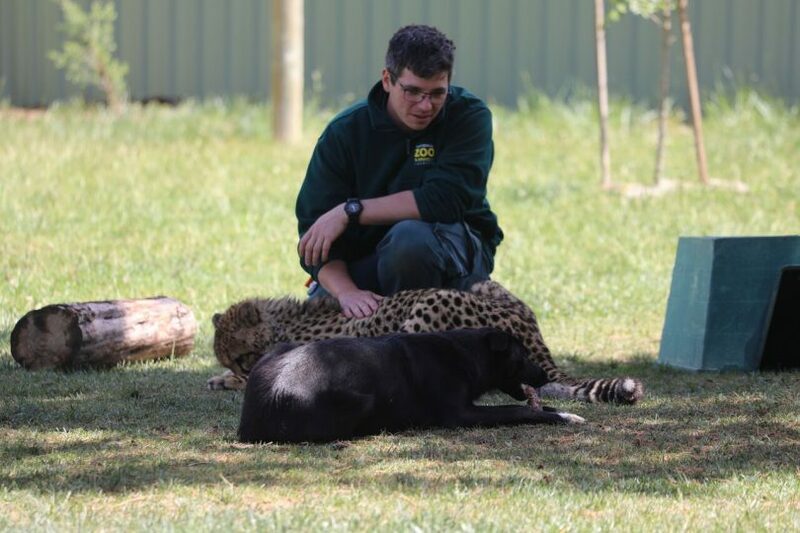 The celebrity pair turn one on Saturday – take a look at their friendship journey so far (video supplied by the zoo). 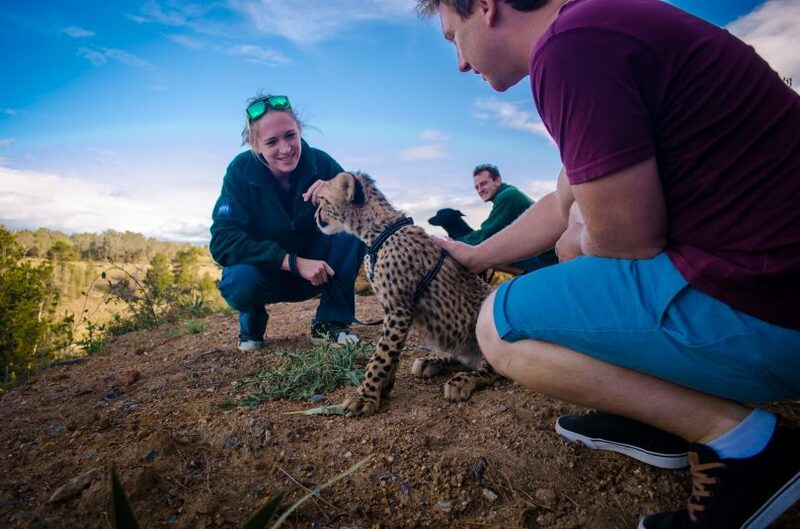 They reached their first milestone birthday on Thursday (November 8) and together have become icons for the National Zoo & Aquarium and Jamala Wildlife Lodge where they are a big hit with visitors. 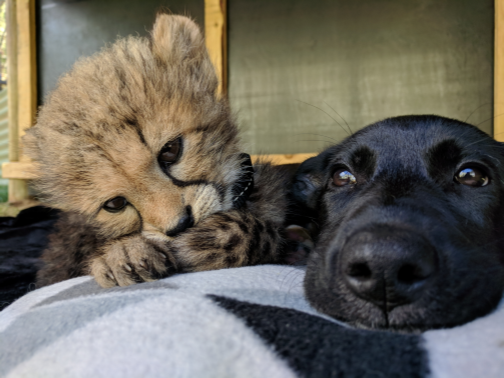 Over the past year, Solo has also become an ambassador for his species and through his popularity, he continues to raise awareness for the plight of cheetahs in the wild. Cheetahs are categorised as vulnerable with under 8,000 left globally and face significant threats to their ongoing survival. To celebrate the pair turning one, the zoo will be hosting a birthday party this Saturday (November 10) starting at 12 noon in the Viewing Park near Solo and Zama’s enclosure. The zoo has promised presents and treats for the birthday boy and girl, as well as cake for visitors and a stall with a range of family activities. Take a look at Solo and Zama’s friendship journey over the last 11 months through the range of photos below which have been supplied by the National Zoo & Aquarium. A still from a video of Solo and Zama playing in March. Aline IJsselmuiden with Solo and Zama sitting nearby. Photo by Kelly McGannon. Solo today is an ambassador for his species.